Honda unveiled a sportier new version of its compact Civic at the New York auto show this week,as it tries to breath new life into the model which has seen its share of troubles in recent years. The Civic's 2012 redesign was a major embarrassment for Honda, as critics complained about the cheapness of the interior and the poor quality of the ride. Consumer Reports rated the 2012 model too poor to earn the magazine's recommendation, a first for the model. While Honda quickly fixed many of the problems for the 2013 model, it's had trouble winning back buyers. Sales of the Civic fell 3% last year even as Honda sales improved, and the Civic fell behind sales of Honda's crossover CR-V for the first time ever. It has lost ground within the compact car segment, falling to less than 13% of that market last year from about 15% in 2008. "The Civic established Honda as a viable Japanese automaker in the U.S., but recent versions haven't lived up to its iconic status," said Karl Brauer, senior analyst with Kelley Blue Book. "The 2016 Civic should correct that trajectory, offering styling and performance that will stand out in the crowded compact car segment." The new Civic due in showrooms later this year looks nothing like the 2012 or 2013 economy-box versions. Besides its sportier look, Honda promises better performance, making it the first Honda model to offer its new VTEC turbo engine. 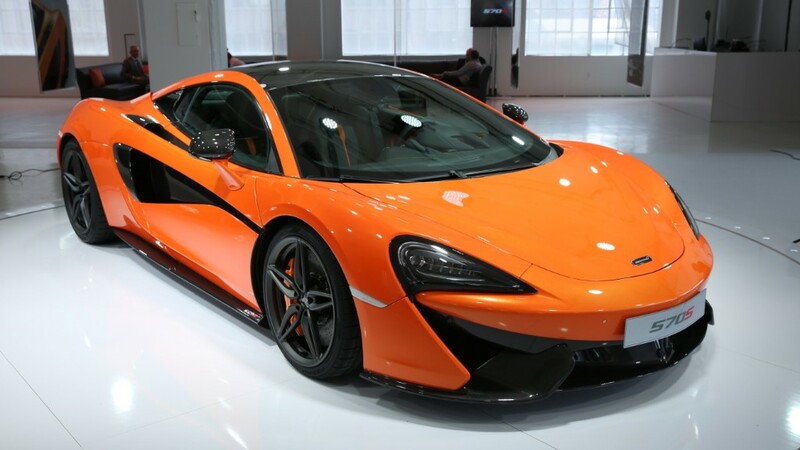 It also has a longer wheelbase and longer hood, as well as 20-inch wheels, lower air intakes and new LED headlights. 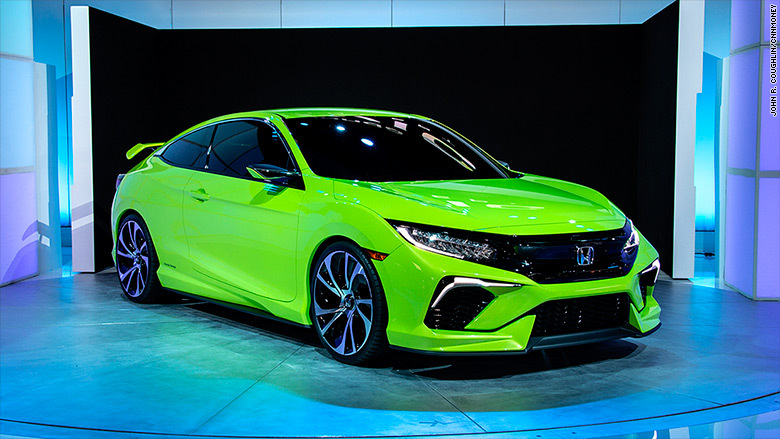 "This, ladies and gentlemen, is the return of the sporty Civic," said Guy Melville-Brown, the chief of designer of the car's exterior, at its unveiling Wednesday. Honda has not yet released pricing for the new Civic. Honda is looking for a bounce back year after it was dogged by safety questions related to the exploding Takata airbags. While 10 different automakers had a total of 19 million cars recalled due to the the problem that sent shrapnel flying to drivers, most of those cars were made by Honda. Honda Motor (HMC) also had six of the seven deaths tied to the airbags, according to the Center for Auto Safety. The problems resulted in a $70 million fine from U.S. safety regulators and the resignation of Honda's CEO.